Another summer weekend has passed and while I have been busy working my retail job, I still found time for some shopping...duh. Naturally, since I am surrounded by new merchandise on a daily basis, all I have to do is wander a few feet from my left for some fashion inspiration. If you follow me on Instagram here (and you really should for even more shopping pics! ), you saw me post this Chloe-inspired bag. While it's not a dead ringer by any means, some of the details are there and it's a chic bag regardless! 4th of July Sales have started!! Independence Day may not be until next week, but of course stores are kicking off the holiday early to get you in the store to shop this weekend! Luckily, most of these deals are also available online, so you can relax with some ice cream while doing a little retail therapy. As I was browsing Target's website for work pants, I decided to check clearance first and to my surprise, the pair of drapey print pants and bomber jacket I wanted months ago (and forgot all about) were not only ten dollars! 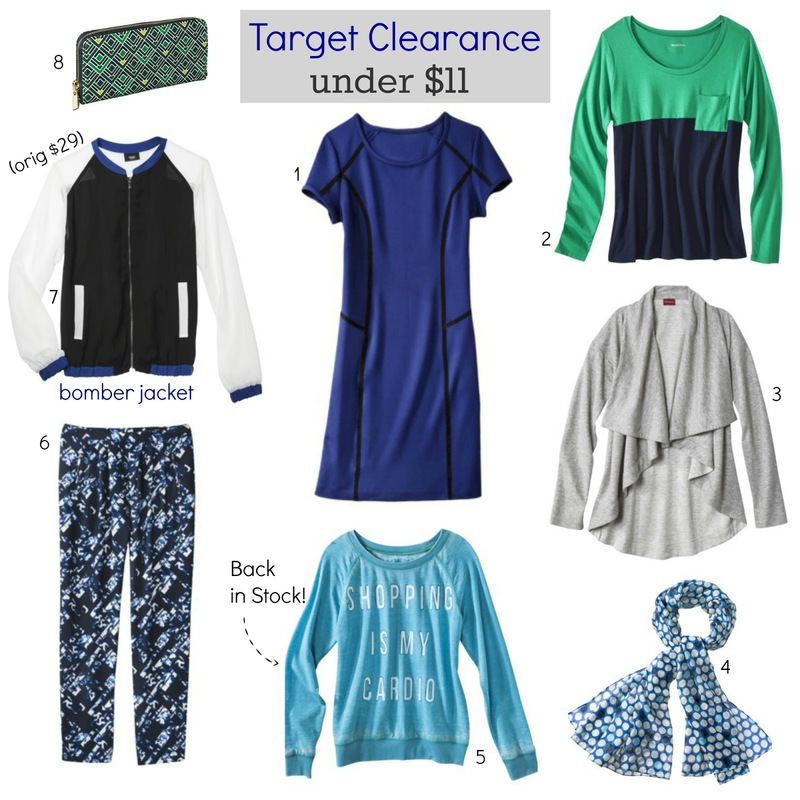 I quickly starting searching the clearance items and came across quite a few items, while i decided to share the under $11 picks, there are also shopping worthily finds for just a few dollars more. I also decided to include the uber popular "shopping is my cardio" sweatshirt that people went crazy for back in December and they brought it back again and it's now on clearance. Usually I like to choose a few favorites since I always have so many after the weekend, but occasionally I like to spotlight one item so you don't miss it! Whenever I see quilted handbags or shoes, I always think of Chanel. While I won't be buying a pair of their famous flats anytime soon, I still love the look of a quilted shoe and thanks to Forever 21, (yet again!) I can get all three colors variations of their latest designer look for less for sixty dollars total. I can't help myself, I tend to buy in multiples when I find something I love and this is no exception. These little darlings will look so chic with denim to elevate a casual outfit and still stay comfy. What do you of these quilted flats - would you wear them? Using any discount at Forever 21 makes it a final sale. 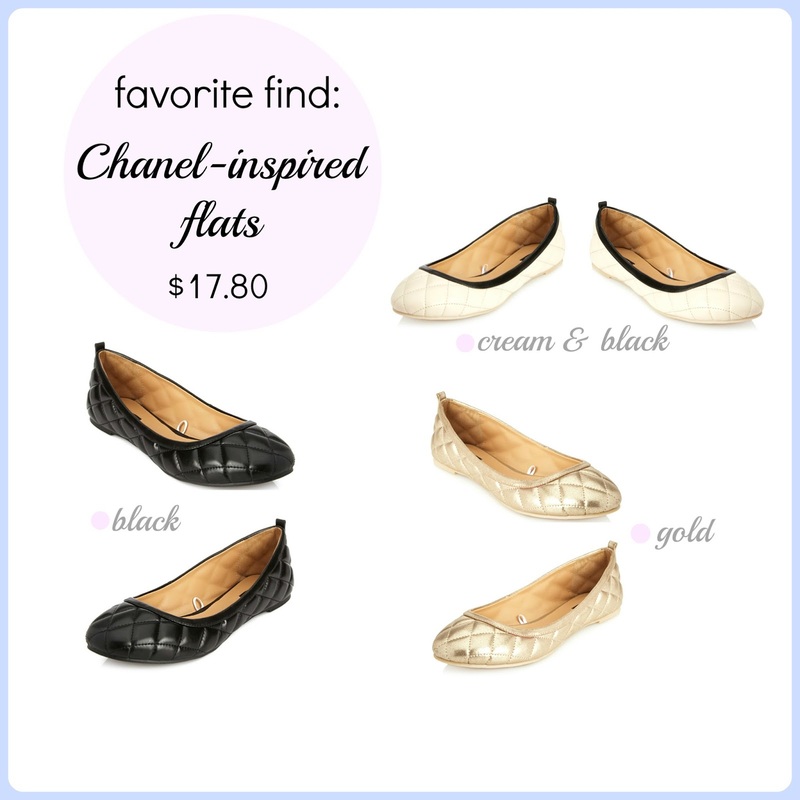 Nothing can compare to the original Chanel flats, but you can get the look for less! 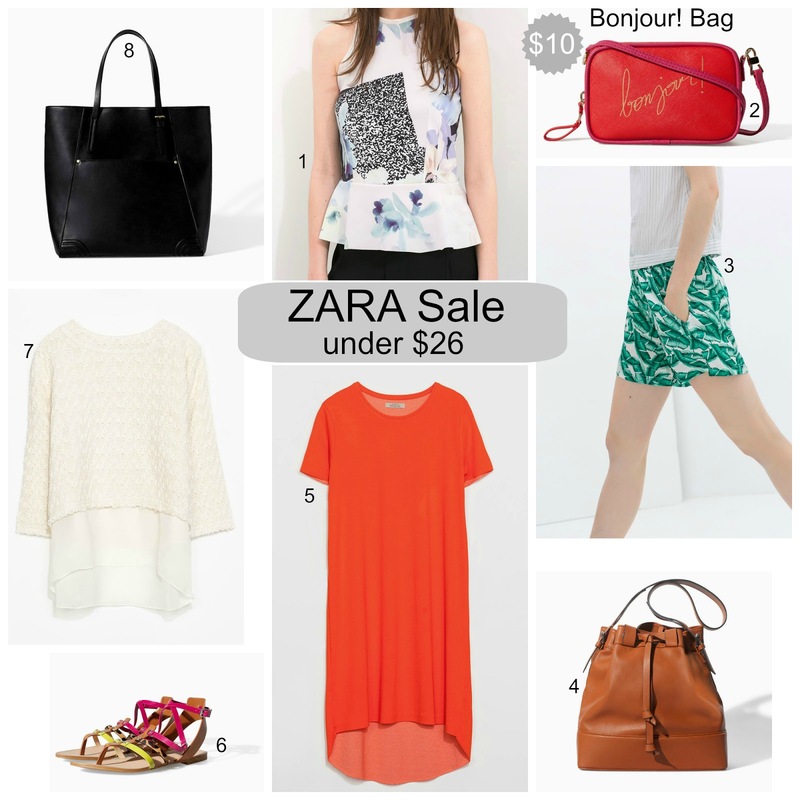 Ready, Set, Shop ZARA's Sale!! Zara's summer sale is finally here! A great time to pick up some quality tops, handbags (seriously, the handbags are so good) and shoes at more affordable prices. If you can hold off for a couple more weeks, prices drop even lower. Since I can barely hold my eyes open after getting up at 6am this morning, I'm going to bid you all goodnight (or good morning...depending on when you are reading this!) Remember to check out the home decor which is also kicking off their own sale. Will you be shopping the sale? Since I recently began a seasonal sales position in retail, I've already noticed how much more effort it is to look chic on my days off. I find myself grabbing my go-to striped tees, skinny jeans and crossbody bag every.single.time. While there is nothing wrong with my look per se, I'm definitely in an off-duty rut. I know I'm not the only one struggling to look chic running errands or getting lunch with a friend, so here's a few items that might help you add something extra to your regular weekend uniform and look pulled together with minimal effort. 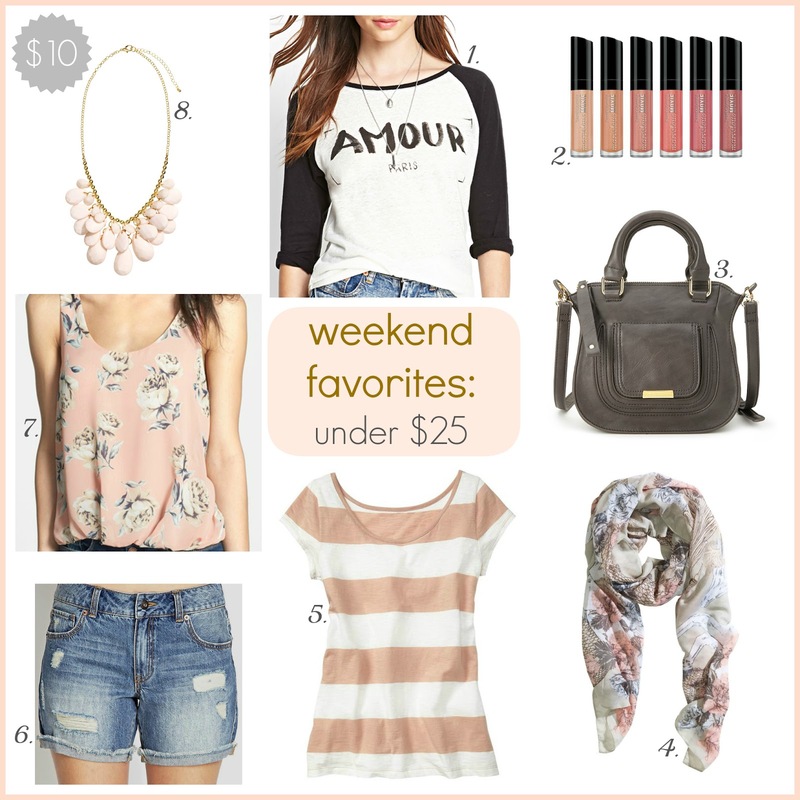 What's your favorite go-to look on the weekends? Juicy Couture - 60% off!! Juicy Couture is closing it's door by the end of the year and the closeout sales are already starting! Today, you can score your favorite velour items for less than $15 while taking a whopping 60% off sitewide, including sale prices. The only downside is that all sales are final, so choose wisely and know your sizes. You can also shop these deals at your local Juicy store where you will also find handbags. No worry if you don't get your favorites, the clothing line will have a new home at Kohls next year, but I'll still miss the fun vibe of the original store. 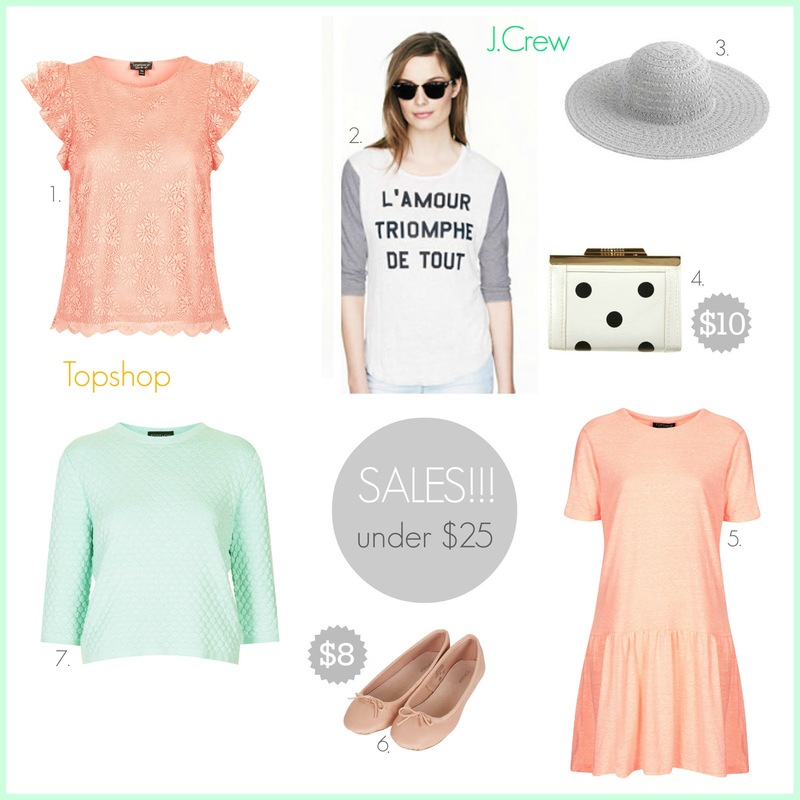 POPSUGAR Must-Have June Box Review + $10 off code! The newest PopSugar Must-Have Box for June is here! I ordered one of these monthly subscription boxes once before, but I was lucky enough to be sent this box to review (yay!). I love the idea of a surprise box at your doorstep, the anticipation alone is so addictive. Each monthly box is filled with full-size products hand selected by their editors. For $39.95 a month, you will receive the latest must-have items valued at $100! Of course, there is a special coupon code for my readers to save $10 off a 3-month subscription. What do you think of this box - would you splurge on a surprise box of fun? H&M HUGE SALE - up to 60% off!! A huge online sale just started at H&M with items starting at $3! I've been pleasantly surprised this week by all of the major sales that launched. While it isn't a holiday or the traditional three-day weekend that usually kicks off such bargain finds, this is a chance to grab some summer items at super affordable prices. I've see many of these items on sale at the store, but some of the dresses are still regular price. Maybe in a few more days, they will also hit the sale rack. SALES!! Shop HUGE New Sales Today!! 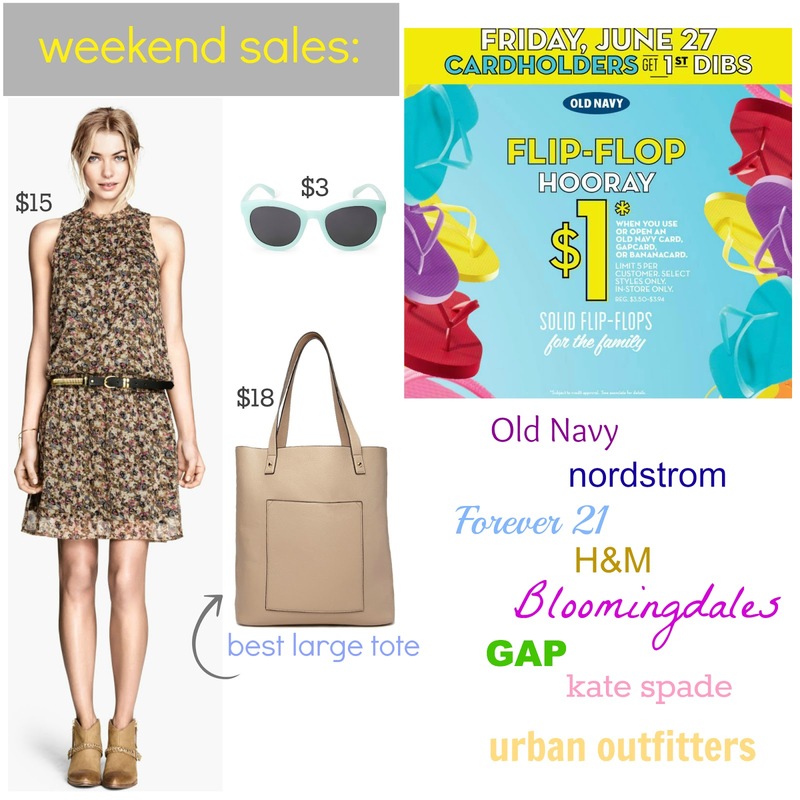 The weekend may be over, but so many big sales and discounts started today - let's get shopping! June is here and while it isn't "officially" summer on the calendar, I am already enjoying the hotter temps (whaaat??) and embracing all the lightweight fabrics, sandals, and all things French of course. 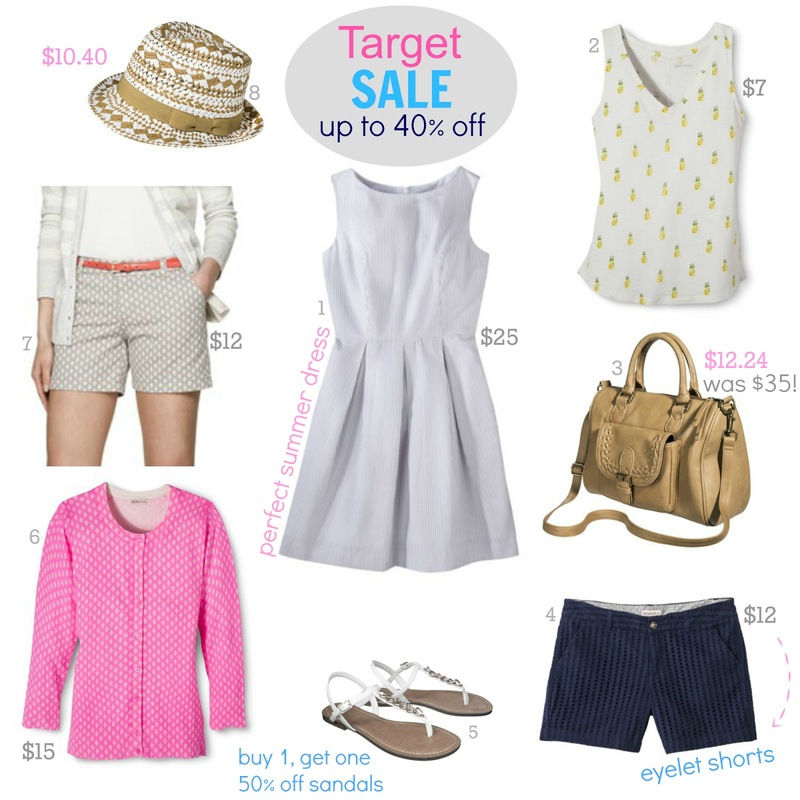 Target Sale - up to 40% off picks! Since I am at Target almost everyday it seems, I was at my store a little longer than usual on Sunday. So many new sale deals this week and as usual, online items are selling fast. Get yourself to the store as soon as you can to scoop up shorts, tank tops, dresses, cute sweaters and the list goes on. So many more prints and styles to see in person. Target recently added more items to their impressive collection of seersucker apparel, so naturally I also added a couple of things into my shopping cart. I just can't resist this fresh, lightweight fabric. Don't miss your chance to get in on the pineapple craze with an affordable tank top. Make sure to check out the online clearance too, especially the handbags.